Psychopharmacological advances in the last decade have contributed to the treatment of anxiety and depression in a number of ways. 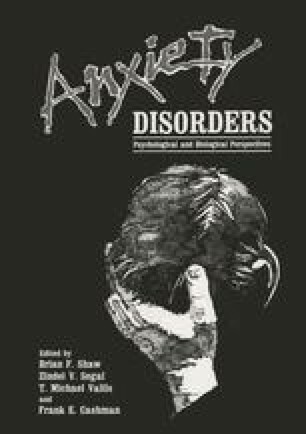 These developments have modified the conceptual framework of the biological understanding of these conditions and have led to a differentiation of subgroups of patients within the broad diagnostic categories of anxiety and depression. These more specific sub-categories are based for the most part on differences in treatment response. Psychopharmacology has also led to changes in nosology, the development of laboratory diagnostic tools, methods of response prediction and to the use of more neurochemically specific therapeutic agents. In addition to these advances, drug developments have resulted in the use of chemicals which, while maintaining initial therapeutic objectives, have fewer of the adverse effects which limited the use of the earlier compounds. In this chapter, an attempt will be made to review these developments of the last few years.